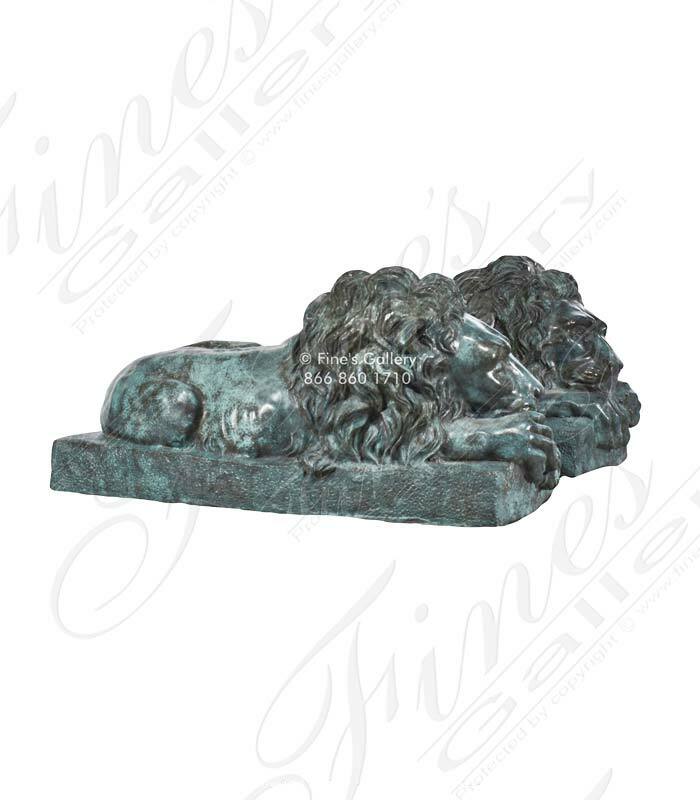 Pair of bronze male lions beautifully crafted with a classical green patina and finish. If you require additional information for this product please call 1-866-860-1710 and talk with a sales representative at anytime. These extraordinary lions with the careful details will make you feel in awe at their power and majestic beauty. They bring a divine elegance to their statuesque stance. 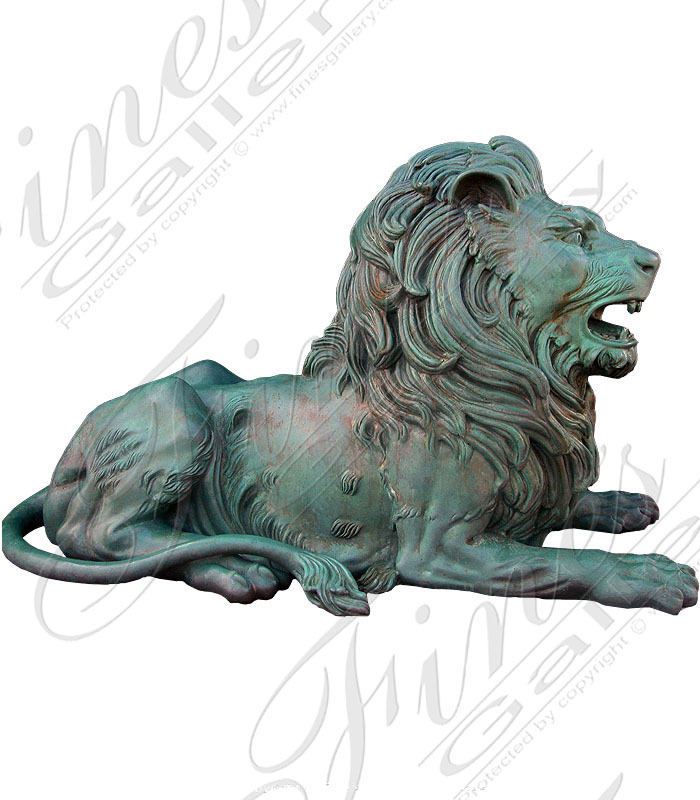 These pieces are bronze with a green patina finish. 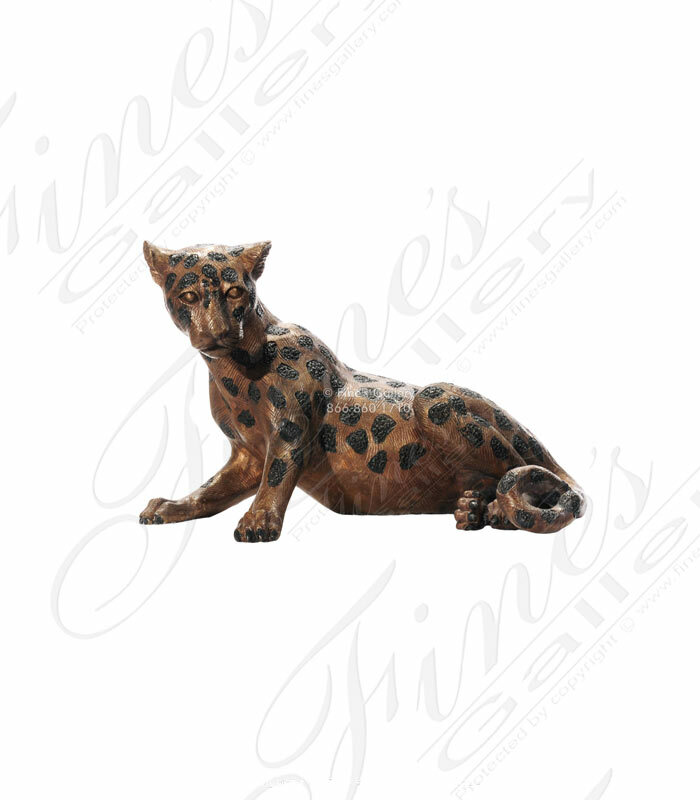 Beautiful bronze cheetah reclining, expertly crafted and finished. If you require additional information for this product please call 1-866-860-1710 and talk with a sales representative at anytime.